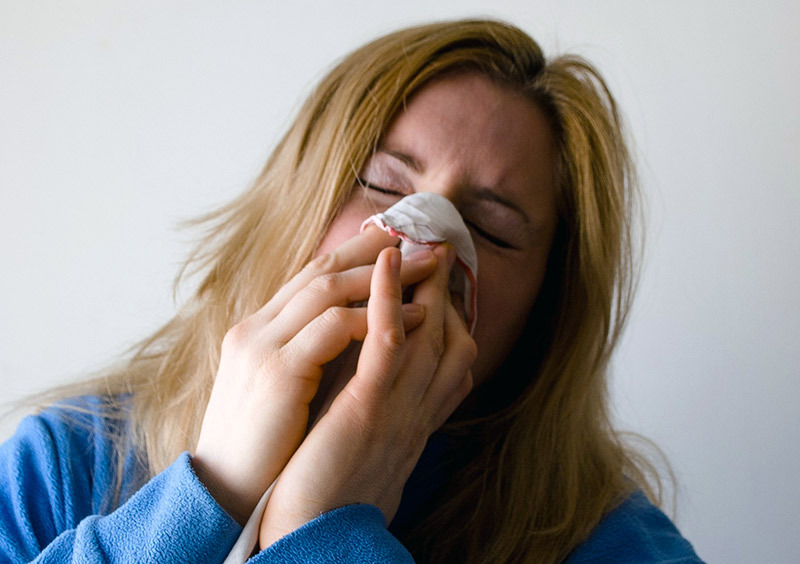 Allergies or a Cold: Knowing If It's Allergies, a Cold, or a Sinus Infection? Tis the season for allergies, or so you think, despite the high pollen count your sinuses issues may or may not be related to allergies. You see, it can difficult to tell the difference between a sinus infection and allergies, or from allergies or a cold. So if you are experiencing sinus pain, have a stuffy nose, are exhausted and have a reduced sense of taste and smell, don’t automatically assume its allergy related. In fact, these symptoms are the hallmarks of a sinus infection, not a result of high pollen counts. Do you find yourself wondering if your symptoms are from allergies or a cold? While differentiating between the three conditions can be difficult to do, sometimes even for doctors, some key differences can offer clues. Need some help pinpointing the cause of your sinus congestion? If so, continue reading to learn more about the symptoms of each ailment to help you better distinguish the cause of your sinus congestion. The common cold brings with it feelings of fatigue, congestion, and difficulty breathing. However, a cold typically doesn’t linger for longer than seven to ten days. If your cold symptoms don’t improve after seven to ten days, allergens are the likely culprit. In this case, you would want to treat your symptoms with an antihistamine, not a decongestant. When you have a sinus infection or sinusitis, your nasal passageways become inflamed. So much so, that the inflammation backs up the mucus flow in the sinuses. Your body creates a liter or more of mucus a day, and when this becomes backed up due to inflammation, sinus infections occur. The symptoms often include chronic fatigue, headaches, facial pain and tenderness, nasal congestion, and a reduced sense of taste and smell. Allergies can mimic the symptoms of a cold, but if these symptoms last longer than seven to ten days, it may be allergies. Allergies can make you feel fatigued, cause sinus congestion or a runny nose, and is usually accompanied by itchy, watery eyes. Treat your allergies by using an antihistamine, and see a doctor if your symptoms don’t improve. Also, realize your allergies might be due to an environmental trigger, so try your best to eliminate allergens from your home.